If you’re on the lookout for a new phone right now, you’re probably considering two popular models: the Apple iPhone XR and the Google Pixel 3. And it wouldn’t be surprising if you were in a dilemma about which of the two is better because these phones have a lot in common. Both come in vibrant colors, have great quality cameras, and contain exciting new features. And the best part? These two are relatively affordable compared to the thousand-dollar models out in the market! Before heading to stores and retailers that sell cell phones, read on about the major comparison points between these two options. This article can help you ultimately decide which brand to go for. Like the previous Pixel versions, Pixel 3 features a fingerprint sensor on the back of the device. Meanwhile, Apple uses the Face ID to authenticate the user. If you prefer one to the other, consider this distinction. Some users prefer the reliability of the fingerprint sensor compared to the facial recognition software. The two devices have nearly identical hardware used on the rear cameras—both use a single, 12-megapixel camera that can take excellent shots. While the hardware is pretty much similar, the difference lies in the software. For Google Pixel 3, there are added features that may edge out the iPhone in this category. For instance, the Pixel 3 has “Night Sight,” an option for when you are taking pictures in sparse lighting. This results in brighter and clearer shots. There’s also a Photobooth mode that takes automatic shots when the device senses a smile or a funny look on your face. Pixel 3 also improved their Portrait mode in order to do what the XR can and more. Both phones can edit the background depth in each shot. However, Pixel 3 does it one step further with options for background color editing and changing a shot’s focal subject. Looking at the front camera, both iPhone XR and Pixel 3 sport quality cameras. The iPhone XR has a True Depth feature that uses portrait lighting and adds animoji and memoji for extra personality. Meanwhile, the Pixel 3’s selfie mode uses a wide-angle lens that can fit more people or background in the photo. 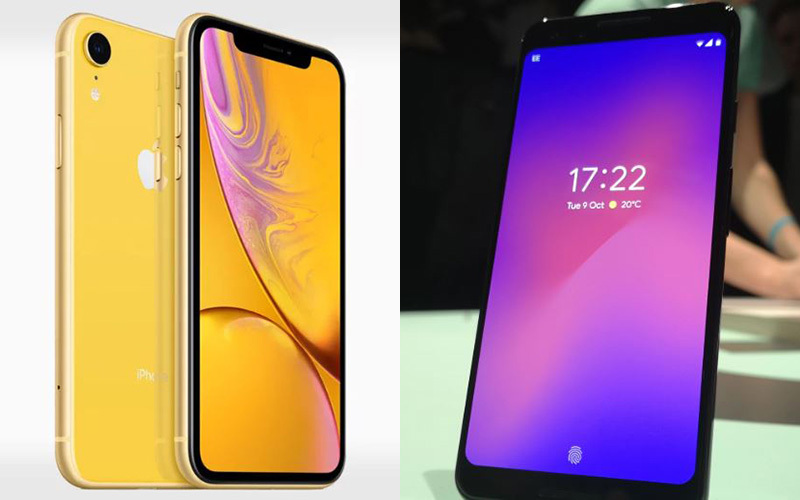 The two devices have the newest smartphone OS, with the Pixel 3 running on Android 9 Pie and the iPhone XR on the latest Apple iOS 12. In terms of storage, iPhone XR has a maximum capacity of 256 GB, higher than Pixel 3’s 128 GB limit. Apple’s XR also has a bigger display, with its 6.1-inch liquid retina screen topping Google’s 5.5-inch OLED display. However, Pixel 3 s smaller frame also makes it a tad lighter than iPhone XR. As with their other features, the two phones’ retail prices only has $50-difference. Pixel 3 is only slightly more expensive than the iPhone XR, with a starting price of $799 compared to XR’s $749. Smartwatches are all the rage nowadays. And LG is keeping up with this trend by announcing its latest smartwatch – the Watch W7. The Watch W7 is a hybrid mechanical accessory that features mechanical hands set over a Wear OS-powered digital display. Its hybrid tech means the user can turn off the smartwatch aspect without interfering with the timekeeping functionality – even after the battery dies. LG has worked with the Swiss watch manufacturer Soprod SA in incorporating the mechanical movements of the W7, which, apart from keeping accurate time, includes an altimeter, a barometer, a stopwatch, and a compass. Retailers that sell cell-phone and tablet units are looking to offer this elegant accessory starting this October. The smartwatch is priced at $450. Measuring 44.5 x 45.4 x 12.9mm, this watch is relatively big compared to other brands out there. The 1.2-inch touchscreen display may not provide the biggest display area for a smartwatch, but it’s placed atop the watch hands to give it a unique interface that non-hybrid smartwatches do not have. This model uses Qualcomm’s Wear 2100 chipset, which has 768MB of RAM. If used as a smartwatch, the W7 can last up to two days. But as a mechanical timepiece, it can last for up to 100 days, at least according to LG. LG wonderfully combines classic and modern in this device. It’s fashioned out of a sleek burnished steel case, with two buttons on either side of the crown. All three can be used to access the watch’s smart features. It uses 22mm watchbands, which can easily be changed depending on whether you want a more formal or rugged look. But as it is, the palette and overall construction make this watch versatile enough to be worn almost anywhere. The hands-and-display face may take some getting used to, though, because the hands tend to get in the way of the screen. You can address this issue by just holding the top right button to slide the content higher and move the hands to the 3 and 9 o’clock marks. Compared to the Apple Watch or the Samsung Galaxy Watch, the W7 decidedly took the no-frills route. There is no heart rate sensor, no built-in GPS or LTE option, and it does not support NFC and Google Pay. 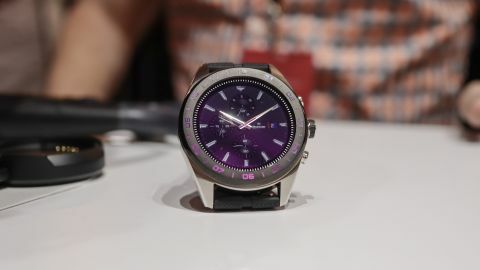 LG’s concept may be to focus on the traditional watch form and enhance its features, but for an accessory that costs $450, one would expect that there are a number of smartwatch features incorporated into the device. Otherwise, what’s the point? Based on the specs and features, the Watch W7 is all about blending the traditional timepiece aesthetic with the enhanced functionality of a smartwatch. You’ll appreciate the quality and overall look of this smartwatch. But the bare-bones smart features may not be enough for many to consider this watch over what’s currently being offered by more established brands. Huawei has finally launched the latest model in their Honor line – the Honor 8X. This much-anticipated release from one of the largest manufacturers in China has seen preorders skyrocket at many outlets that sell cell-phones Huawei’s Honor line is a popular mid-range option, as the smartphones always come with a sleek design, big screen, and great camera quality encased in a solid chipset. The 8X features a 6.5-inch screen with a resolution of 2340 x 1080 pixels. The gadget has a 91 percent screen-to-body ratio, making viewing angles fantastic and satisfying for every user. In fact, the 8X is about the same size as the iPhone 8 Plus when examined side by side. For users who want something larger, the Honor 8X Max has a 7.1-inch panel, giving you more screen area. The 8X showcases an impressive Kirin Octa-core processor. Combined with Huawei’s GPU Turbo, this will surely please many users as it guarantees faster processing and video loading. As for charging, the Honor 8X uses a micro USB port, instead of the increasingly common USB-C standard, making it a bit disappointing in terms of versatility and convenience. There are two options for capacity: 4GB/6GB of RAM and 64GB/128GB of memory storage, ample enough to store various content. In this arena, the Honor 8X boasts dual 20MP and 2MP AI camera sensors, while the front camera offers 16MP capacity, producing good quality selfies and video calling capabilities. The device’s camera sensors enable scene recognition and adjustments to deliver the highest quality shots each time. The camera also has a night mode that combines multiple exposure shots into a single image. This device has a 3,750mAh battery pack, which will pretty much be utilized by the powerful Kirin 710 core. Unfortunately, there is no fast-charging option for this phone. Huawei Honor 8X features a back casing made of 15 layers of glass, with a metal frame on the edges – catching light beautifully and refracting it to create glistening patterns on the back of the phone. This model truly stands out as a sleek gadget. There are a few classic color options: black, blue, and red. The back part has a fingerprint sensor, much like the previous 7X model. 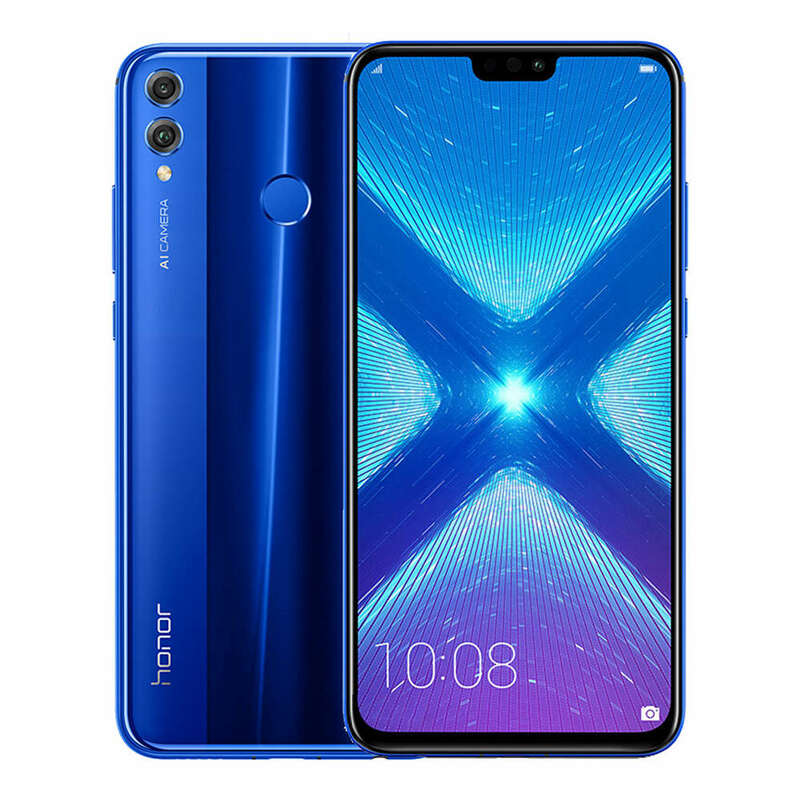 The new Honor 8X sells for 1,399 Yuan in China – about USD 205, GBP 155, or AUD 285 – but even with a mid-range price point, it feels far from being a budget device. The powerful specs, AI capabilities, and shiny, metallic exterior all combine to bring a phone that is beautiful and equally functional for its cost. The Honor 8X is a great product for those looking for a relatively affordable phone without compromising on performance and capacity. It’s quite unfortunate that it won’t be sold in the US – at least not yet – but it’s now available for purchase in Asia and Europe. Apple has launched brand new iPad Pro models during the brand’s ‘There’s More in the Making’ event last October 30th. These models, coming in 11-inch and 12.9-inch sizes, will be available online and in Apple stores on the 7th of November. 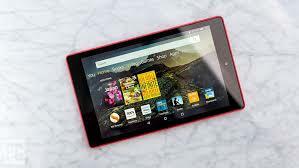 Retailers that sell tablets will surely get a surge of demand for these new devices, especially when Apple itself has mentioned that this is the tablet they have always wanted to make from the beginning. Indeed, there are marked improvements and an array of extra features that make this latest model all the rage, but for the average consumer, will all of these be worth it? Let’s find out. 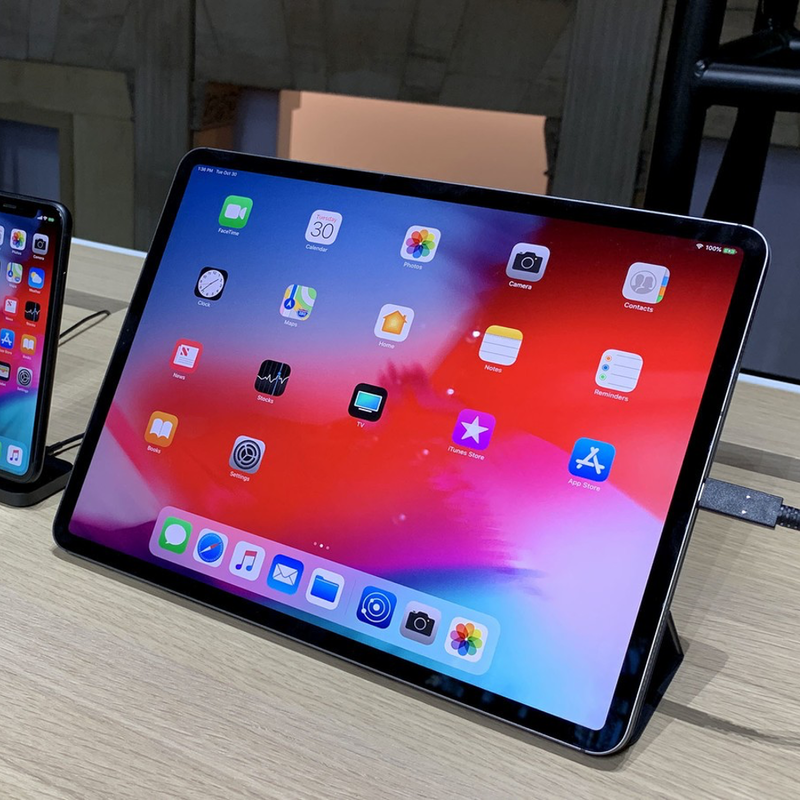 Like with the iPhone X, these new iPad Pros feature smaller bezels, making the screen larger than previous iPad models. 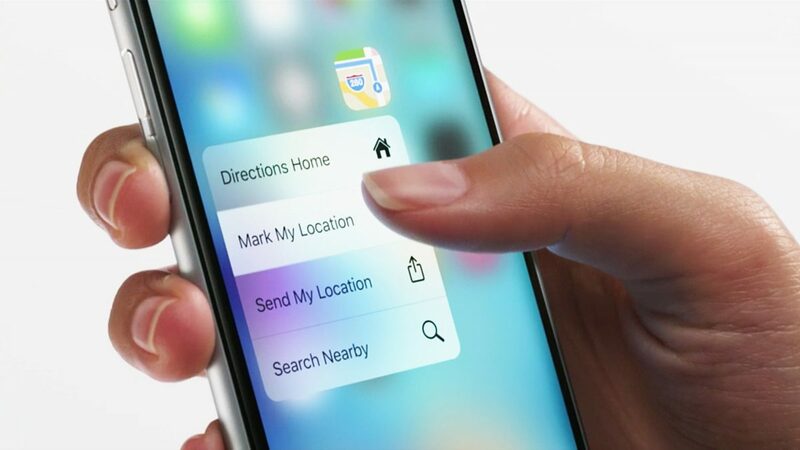 The design does away with the Home button, creating an uninterrupted screen view. Recognition software is all about the Face ID instead of Touch ID. The screen boasts of Liquid Retina display, which, while being a new offering, is still pretty much the same in pixel density as on the 2017 model. That means, it does not really have the stunning sharpness that you get from an OLED display like the one on Samsung Galaxy Tab S4. Even so, Apple mentions that the screen is great in other fronts: it offers pixel masking and anti-aliasing like on the iPhone XR, and has a new backlight design. The processor is also bumped up with the A12X Bionic, even faster than the chip in iPhone XS. Storage reaches up to 1TB. The rear-facing camera is still at 12MP, and unfortunately, still not the best specs in tablets. The new iPad Pros showcase a slightly changed aesthetic, moving away from the smooth curves and into a more industrial look. The sides are reminiscent of the iPhone 4 or iPhone SE than the recent devices from the brand. Still in keeping with the brutalist design is the color selection: Silver and Space Gray are the only options. And they are also slimmer, both being only 5.9mm thick compared to the 6.1mm and 6.9mm of previous models. 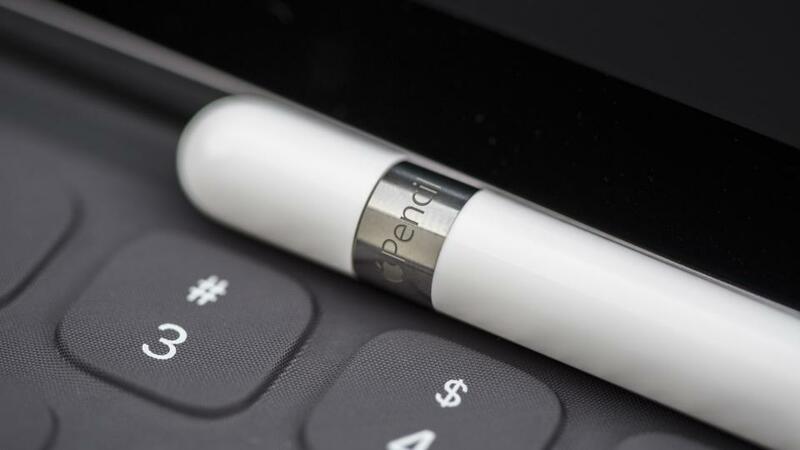 A magnetic connector for the new Apple Pencil attaches on one side and is charged wirelessly. But the big change is how Apple ditched the Lightning port for these latest iPad Pros. A USB-C connector replaces the space where the Lightning port used to be. 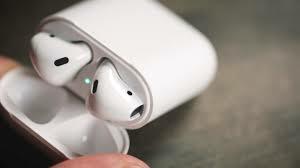 This means greater versatility when using third party accessories, but it might be an issue for people who have lightning docks and headphones. And there’s no headphones or headphone port either – you’ll have to get USB-C headphones, opt for an adapter or go wireless. The 11-inch version starts at $799, while the 12-inch version is priced at $999—surely a hefty price increase from last year. And with other accessories like the pencil or keyboard not included, these new iPads might prove a bit expensive for the average user. Of course, as with many Apple products, the price doesn’t necessarily deter those loyal Apple users in its ecosystem. As long as there are useful upgrades, it will be up to consumers to see if the latest versions are worth it. During Apple’s event entitled, “There’s more in the making” held in Brooklyn last October 30th, big news for consumers and Apple enthusiasts was announced. For one, MacBook Air is still available, despite rumors that it will be folded into the MacBook line. In fact, the MacBook Air enjoyed a redesign, which we will discuss in detail in this article. Aside from the news about MacBook Air, Apple also showcased a long-overdue update to their Mac Mini and iPad Pro devices. Customers can order the new models direct from Apple’s website, and shipping and launching in stores that sell laptops start by November 7. The new MacBook Air features configuration and style updates. 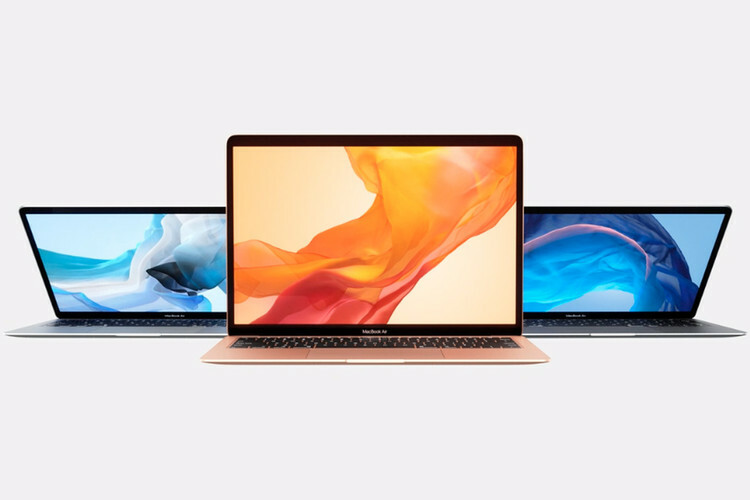 The new look ditches the thicker aluminum bezel seen in the old MacBook Air models and displays thinner bezels framing the 13.3-inch Retina display screen. Touch ID is still included, although it comes without the Touch Bar found on select MacBook Pro models. The laptop has a butterfly keyboard, Force Touch trackpad and two USB-C ports on its exterior. The inside enjoys some upgrades as well with its 8th generation dual-core Intel Core processor. Storage goes up to a comfortable 1.5 TB. That means it’s thinner and lighter but more powerful. The redesign also takes a greener approach with the body made from 100 percent recycled aluminum. Price starts at a hefty $1,199, and fans can choose among 3 color options: gold, silver and space gray. After 4 long years, the Mac Mini desktop has finally been updated. This “update of a lifetime” makes the new model superior in performance compared to its aged predecessor. Sporting 4- and 6-core 8th generation Intel processors, with up to 64GB of RAM and a solid 2TB storage capacity, the new Mac Mini is certainly more powerful than the previous iteration. Four USB-C Thunderbolt ports line the edge of the device, along with 2 USB-A, HDMI and Ethernet ports. Same with the new MacBook Air, this model also uses 100% recycled aluminum, but it only comes with the space gray color option. Price starts at $799 and the most powerful model costs $1,099. Apple made waves with their launch of 2 new iPad Pro tablets, an 11-inch model and a bigger, 12.9-inch tablet. Both devices no longer have the home button, replaced by Face ID recognition. In terms of build, the bezels are notably thinner and corners are rounded, allowing for maximum screen space. Upgrades on performance are also evident, with the tablets sporting Apple’s A12X Bionic chip and storage capacity of up to 1TB. However, fans may need to get used to the big change in ditching the Lightning port in favor of a USB-C port. In terms of price, the 11-inch iPad Pro starts at $799, while the 12.9-inch starting price is at $999. All of these fantastic chrome devices are hitting stores on November 7, but if you simply cannot wait, Apple is already taking pre-orders on these sought-after products. Pre-order now if you want to get a hold of the device without standing in line at Apple stores! The latest version of the Apple Pencil was showcased at Apple’s special event last October 30, alongside the release of the 2018 iPad Pro tablets. Fans will surely flock to retailers that sell tablets and get this much sought-after accessory. The new Apple Pencil offers exciting innovations that make it a must-have for artists and designers. First, it’s the only one of its kind to auto-charge when attached to the tablet. With a magnetic mechanism, the new Apple Pencil attaches on the iPad Pro seamlessly and automatically. Aside from that, the accessory includes a new touch sensor for taps and other gestures. Now, you can tap on your apps with this nifty tool! As with most of Apple’s products, the Apple Pencil feels graceful and high tech when used. It’s beautifully connected with the iPad, with the scanning for the Pencil signal at 240 times per second. The iPad even has predictive algorithms to sense where the Pencil is located. These features make a supremely responsive stylus, perfect for scribbling and drafting notes. Artists will revel at the precision the new Apple Pencil provides, especially as a pencil – it can draw a very narrow line, and it can adjust to the hand pressure and produce thicker lines. This tool can also create a shading effect, like a charcoal pen’s strokes. And while some may consider it lacking in some stylus function (not all functions of the finger are allowed), some still see this as a good thing, as the iPad is able to distinguish accidental screen touching from the palm. The only real drawback is that it can only be used with the new iPad Pro, which has the special sensors embedded in the screen. Hence, you would need to buy the latest iPad Pro model in order to give this Pencil a go. Apple has announced its engraving service for the 2nd generation Apple Pencil. Like with the iPad tablets, owners can show a bit of their personality by designing their Pencils. Engraving is free of charge, and users can place their custom order online through the Apple site. Do take note that if you get this service, you will have to wait a couple more days for your shipping to arrive. Fortunately, you also have the option to pick up your order directly from the store. Along with the 2018 iPad Pro tablets and the next generation Smart Keyboard Folio, the latest Apple Pencil is now available for pre-orders and will arrive in stores on November 7. Priced at $129, it’s a tad expensive for a stylus, which is not surprising in the least given that it is an Apple product. There are cheaper options if you are after a no-frills stylus for your tablet. But if you are thinking of getting the new iPad Pro, then the Apple Pencil is a worthy add-on. 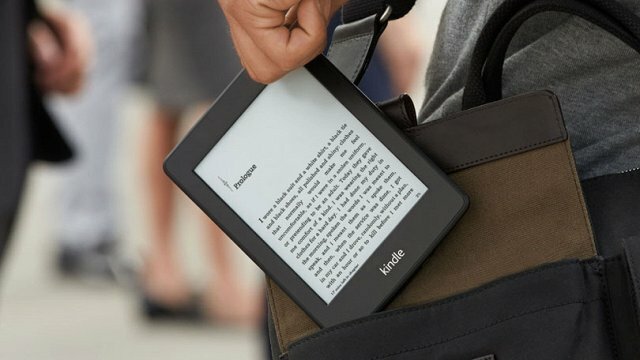 With the price come great features, which you could enjoy for a long time. Designers and artists will especially appreciate the upgrades on this latest Apple Pencil version.